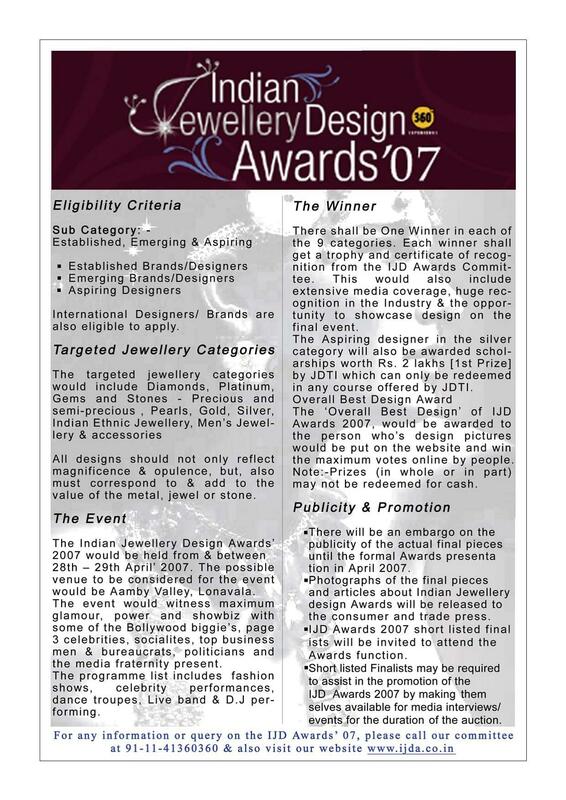 Jewellery Design & Technology Institute (JDTI), Noida was established in 1999. The institute has been setup to provide the much needed skilled professionals to the ever-growing jewellery industry. 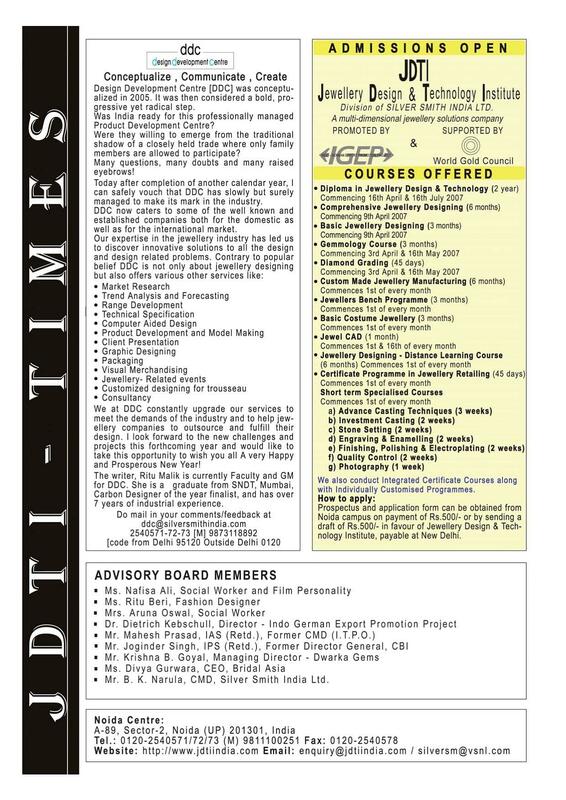 JDTI is promoted by the Indo-German Export Promotion Project and supported by World Gold Council. 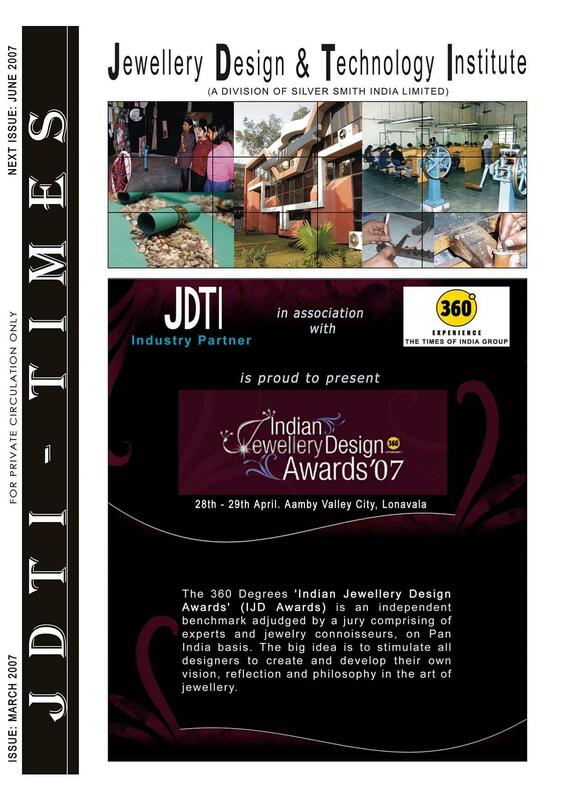 JDTI has become an active part of jewellery industry and education sector with large strength of students and well experienced academic staff. The institute classrooms are modern using latest audio-visual techniques and there is a huge library with collection of books, magazines & documents to provide valuable knowledge to the students. The college also having computer labs with broadband internet facility as well as 3D jewellery software such as Jewel CAD provides necessary technological edge. The courses offered by the institute are ranging from diploma program to short term specialized as well as integrated courses in designing, manufacturing, retailing, gemology, Jewel CAD and many more. 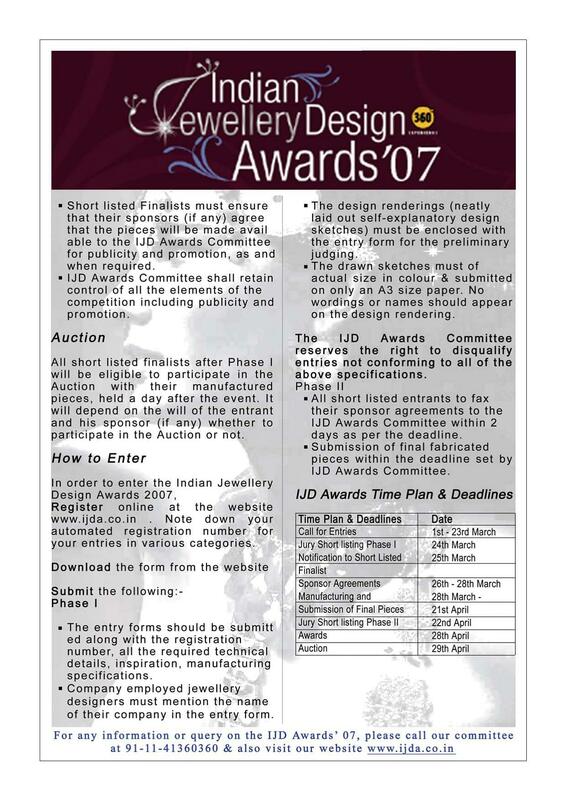 The Jewellery Design & Technology Institute aims to impart a high level of education and training to its students and the product quality of Indian Jewellery and expanding its reach in the domestic as well as international markets.